Singh, who serves as the Minister of State for Human Resource Development, further said Lord Hanuman belonged to the Arya caste. 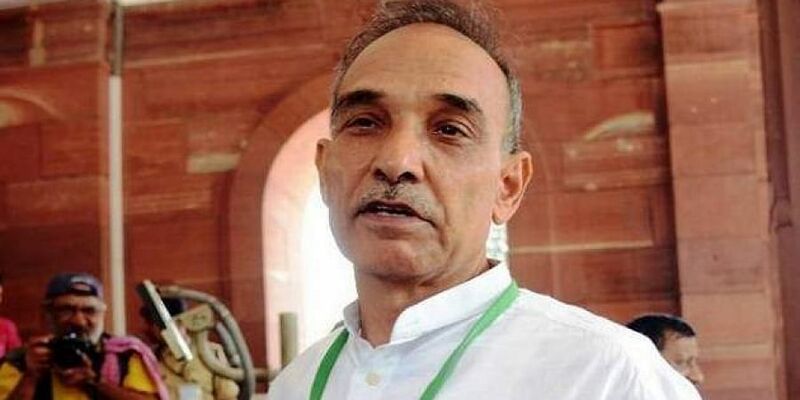 NEW DELHI: Contrary to Uttar Pradesh Chief Minister Yogi Adityanath's claim of Lord Hanuman being a Dalit, Union Minister Satyapal Singh has said caste system did not exist during the time of Ramayana. "During the time of Lord Ram and Lord Hanuman, in our country, no caste system was being followed in the society. No one was branded as a Dalit or backward class," he told ANI. Hindu Mahasabha chief Swami Chakrapani said Adityanath's comment was an "insult" to gods and goddesses. He has also sent a letter to the Election of Commission urging them to ban the Chief Minister from campaigning for elections. "It is an insult of Hindu Sangathan dharma, the way Yogi Adityanath had commented on Lord Hanuman. To involve gods in casteism is their insult. Therefore, I have sent a letter to the Election Commission and asked them to take strict action against those who use God's name for elections. We want Adityanath to be banned for insulting god during an election campaign so that no other leader will dare to do the same in the future," he told ANI. Bharatiya Janata Party (BJP) Member of Parliament (MP) Udit Raj, on the other hand, had stated that caste is being directly addressed because it influences election and voting patterns. "Yogi Adityanath Ji kept his point straight while some have double standards in politics," he added. During a poll rally in Malakheda of Rajasthan's Alwar district on Tuesday, Adityanath had said: "Bajrang Bali was a tribal, a forest dweller, a Dalit and was deprived. He worked to connect all Indian communities together, from north to south and east to west." Subsequently, a legal notice was served to Adityanath on November 29 by the Rajasthan Sarv Brahmin Mahasabha president Suresh Mishra, alleging that the Uttar Pradesh Chief Minister called Lord Hanuman a Dalit merely for political benefit.